Ann Herrmann-Nehdi is the Chief Thought Leader of Herrmann International, the originators and trailblazers of Whole Brain ® Thinking and the Herrmann Brain Dominance Instrument ® (HBDI®). 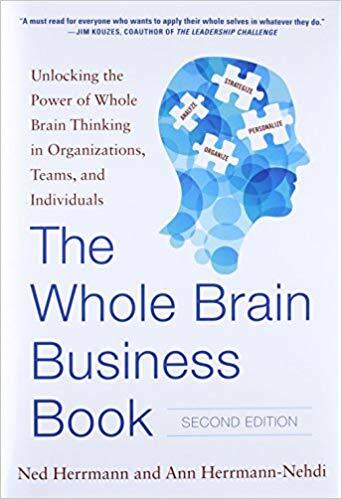 The company’s primary subject matter expert, she applies the principles of Whole Brain ® Thinking to her varied responsibilities, including day-to-day leadership, strategic consulting, ongoing research, learning design and speaking engagements. Ann is the co-author of The Whole Brain Business Book – Second Edition (McGraw-Hill) and is currently at work on her next book, a field guide for applying what we know about the brain and thinking to increase everyday agility. A thought leader in her field, she has written for and been interviewed by such media outlets as Business News Daily, Chief Executive Magazine, Chief Learning Officer Magazine, Developing Talent for Organizational Results (book chapter), HR Executive Magazine, Investor’s Business Daily, The leadership Challenge (book chapter), Management Today, T+D Magazine, Training Journal (UK) and O The Oprah Magazine. Mo Bunnell is the Founder and CEO of Bunnell Idea Group, who has taught business development skills to over 12,000 professionals at over 350 clients all over the world. 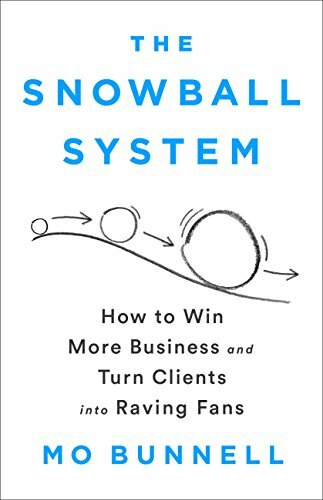 You can learn more about Mo’s techniques in his new book, THE SNOWBALL SYSTEM: How to Win More Business and Turn Clients into Raving Fans, at snowballsystem.com and get a gratis, 8-part video training on creating demand at createdemandcourse.com.